For more information, read guest reviews and compare room prices for the cheapest rates, just click on a hotel name. A new, 68 room boutique hotel in Hanoi's Old Quarter opened in late 2018 featuring an outdoor pool and restaurant. This new 3/4 Star hotel offers good value, spacious rooms, in a good central location in the old town. 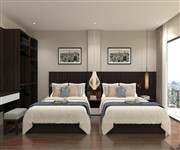 A brand new 3 Star, small family run hotel in Hanoi's Old Quarter offering good value rooms in a good location. A recently opened new 4 Star hotel in Hoan Kiem (Old Quarter), located just a couple of minutes walk away from Hoan Kiem Lake. 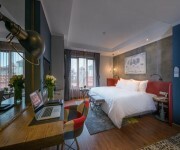 A recently opened new boutique hotel in the Old Quarter located just a minutes walk away from Hoan Kiem Lake. A new 4 Star hotel in Hanoi opened in March 2018 located in the historic centre of the city in the Old Quarter. A new hotel in Hanoi Old Quarter opened in early 2018, this 4 Star property offers a good location from which to explore the city. A newly built 3 Star hotel in Hanoi city centre (Old Quarter) opened in early 2018, offering good value rooms and an excellent central location. 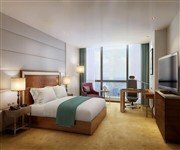 A new luxury Hanoi hotel opened in August 2017 occupying the top floors of the Keangnam Hanoi Landmark Tower in the new central business district of the city. This new Hanoi boutique hotel in the Old Quarter of the city offers 27 guest accommodations, many overlooking the nearby Hoan Kiem Lake. The property features a rooftop restaurant and bar and the La Siesta Spa. A recently opened deluxe hotel in the Old Quarter of Hanoi within walking distance to all the attractions in this historic area of the city. The property offers 55 good value guest rooms and suites. A new suites hotel in Hanoi opened in mid 2016. This 4 star accommodation offers studio rooms, one, two and three bedroom apartments with a kitchenette, ideal for longer stays or business trips. Opened in March 2016, this new 4 star accommodation offers 70 modern and stylish guest rooms and suites. The 11 storey property is located on the western side of the Old Quarter. A deluxe hotel located close to the Hoan Kiem Lake in the centre of the old part of the city, this new 4 star accommodation opened in early 2016 offers 50 guest rooms and suites. This new 4 star hotel opened in January 2016 and is located in the heart of the Old Quarter of the city within walking distance of many of the tourist attractions and night market. The property offers 50 quality rooms and suites. 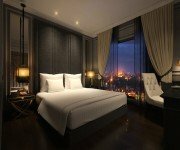 This new boutique hotel in Hanoi opened in late 2015 and offers 52 unique guest rooms in the Old Quarter of the city. A new 5 star hotel in Hanoi opened in mid 2015 with an excellent location in the centre of the city overlooking the Hoan Kiem Lake. The property offers a total of 123 luxury guest rooms and suites. 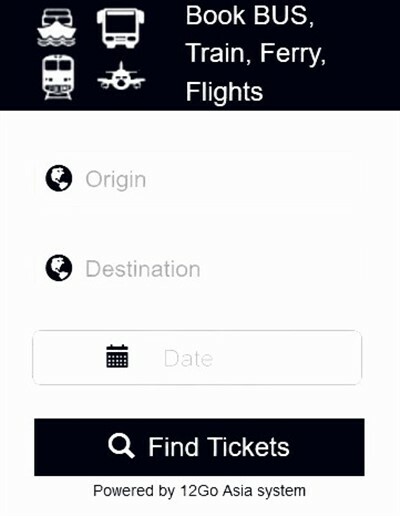 Please visit this page again to find the latest hotel opening for 2019, which will be added to this page when they become available.